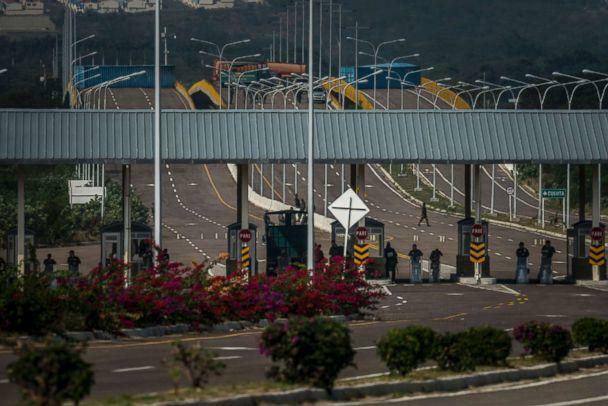 The second wave of humanitarian aid provided by the U.S. government for Venezuela arrived Saturday in the town of Cucuta along the Colombia-Venezuela border, only a week after the first wave of U.S. supplies arrived on the border in response to Venezuelan interim President Juan Guaido's request for humanitarian assistance. “This wasn’t the first and it won’t be the last. More is on the way,” Mark Green, top administrator for the U.S. Agency International for International Development (USAID) said after arriving in the border town of Cucuta on one of the three U.S. military planes carrying the aid. Yet like a previous delivery of U.S. aid a week ago, the vitally-needed supplies -- food, medical supplies, hygiene kits, nutritional products and more -- remain in limbo on the Colombia-Venezuela border, blocked from entry into the country by embattled President Nicolas Maduro, who is struggling to maintain power against growing opposition inside and outside of the South American nation. Green said that the U.S. aid is being provided as a response to a request from Guaido, who was declared interim president by the country’s National Assembly on January 23rd. During the Munich Security Conference on Saturday, U.S. Vice President Mike Pence urged European nations to join the United States in recognizing Guaido as Venezuela’s interim president. “Today we call on the European Union to step forward for freedom and recognize Juan Guaido as the only legitimate president of Venezuela,” Pence said. 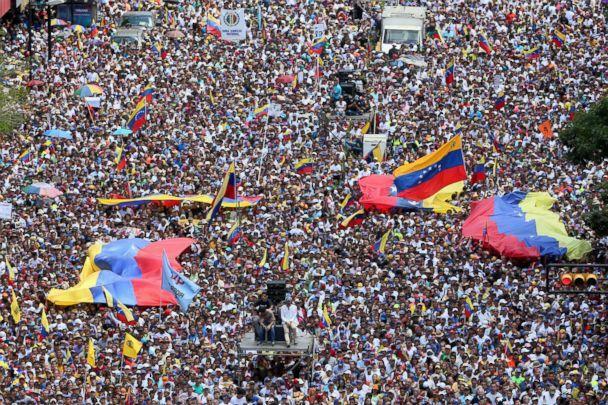 During a nationwide protest on Tuesday, Guaido announced that, on February 23rd, Venezuela’s opposition will conduct the first attempt to bring the aid from Cucuta into Venezuela to be delivered to those who need it the most, calling for volunteers to help in the delivery efforts. 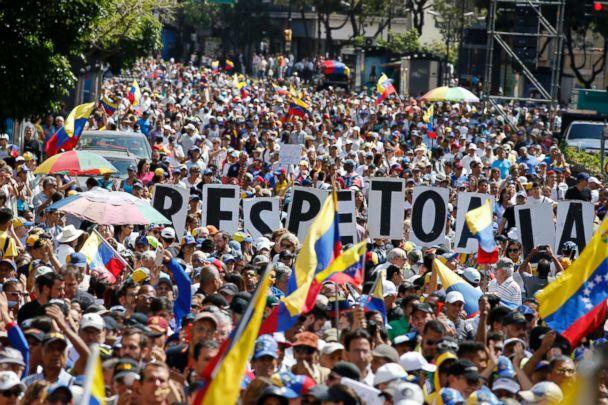 So far, over half a million Venezuelans have signed up to volunteer deliver the aid from Colombia into Venezuela, according to Guaido. During the delivery of aid on Saturday, Lester Toledo, Guaido’s appointed coordinator for the international aid efforts, announced that three additional aid centers will soon open in Brazil, Curaçao and Miami, Florida, pleading once again with Venezuela’s military to let the aid enter the country. The new round of aid includes hygiene kits for about 25,000 people and emergency meal supplements aimed to feed approximately 3,500 children suffering from malnutrition for two months. But Maduro has called the aid a show and an excuse for U.S. intervention in Venezuela, saying that Venezuelans aren’t beggars. But the new delivery of aid is just one of multiple problems Maduro is facing this week. On Friday, the U.S. imposed new sanctions on five officials in Maduro’s circle, including his intelligence chief and first commissioner, the head of the military’s counter-intelligence agency, the head of the national police’s special for es and the head of Venezuela’s state-owner oil company PDVSA.